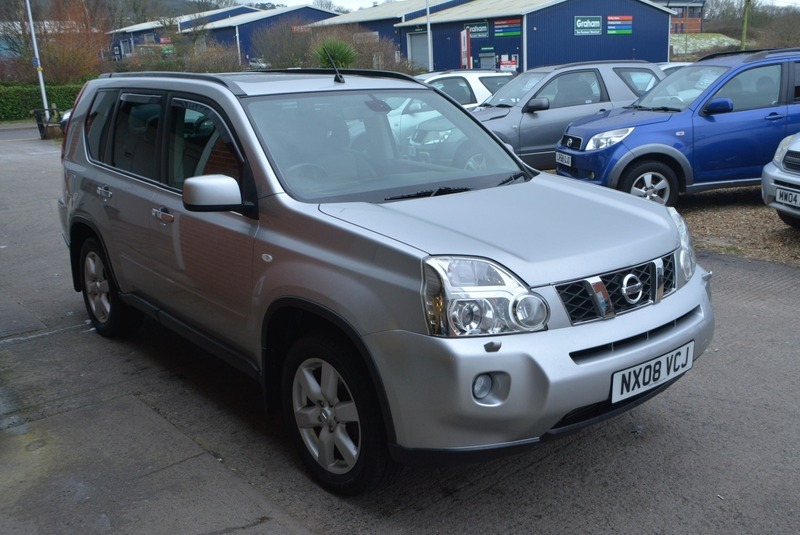 GREAT VALUE NISSAN X TRAIL AVENTURA EXPLORER, UNRIVALLED CONDITION THROUGHOUT AND SERVICE HISTORY. THIS LOVELY EXAMPLE COMES WITH A NEW 12 MONTH MOT, SERVICE CONDUCTED, 12 MONTHS COMPREHENSIVE, NATIONWIDE WARRANTY AND 12 MONTHS AA BREAKDOWN COVER. FULL PEACE OF MIND FOR TH NEW OWNER! JUST ARRIVED! Here we have a stunning NISSAN X TRAIL AVENTURA EXPLORER DCI 2.0L DIESEL MANUAL 5 DOOR 4X4 in blade silver metallic with full black leather interior in truly exceptional condition throughout. This lovely example, which is a real credit to it's former keepers, and comes with a new MOT, service, 12 month warranty an 12 months AA breakdown cover, having only covered 85,000 miles. Coming fully equipped with satellite navigation system, full colour reversing camera, factory fitted electric glass panoramic sunroof, full black leather interior with electric adjust and heated front eats, cruise control, climate control air conditioning, electric windows, am/fm stereo with front loading cd player and Bluetooth telephone connectivity, electric mirrors, key-less entry and factory fitted rear privacy glass.